After a few months of only eating the whole 30 compliant bacon (Pederson’s brand) as my main source of protein for breakfast, I became very bored with bacon. I then decided that I was going to make my own whole 30 compliant breakfast sausage with pork. This lead to my discovery that blackberries combined with pork or beef, is delicious! Blackberries bring lots of fiber to this dish. One cup of blackberries has about 8 grams of dietary fiber, which helps you stay fuller, longer! 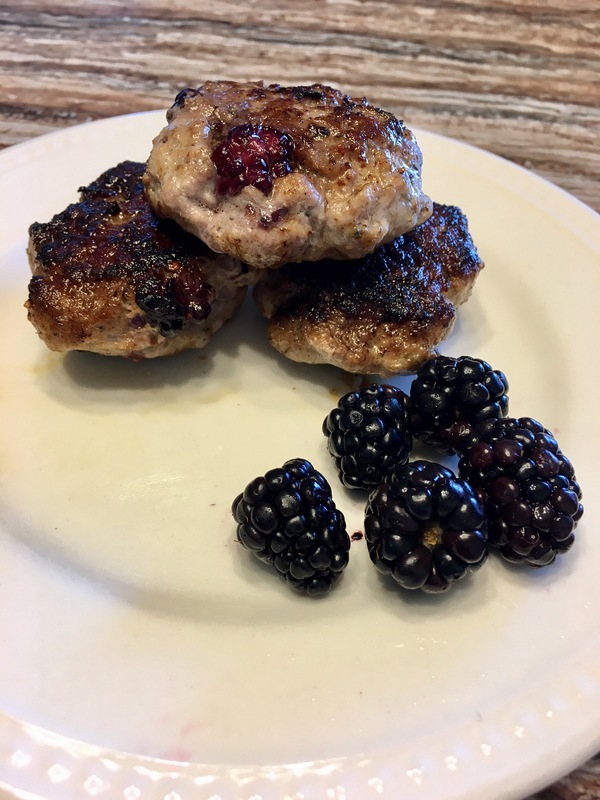 Not only do they bring some fiber to the table, but they also bring a powerful punch to these sausage patties! In a large mixing bowl, mix together all the ingredients except for the blackberries and coconut oil. Then, combine the halved/chopped blackberries to the bowl and gently folding over the meat mixture over the blackberries. Be careful when mixing the blackberries so you do not crush them. 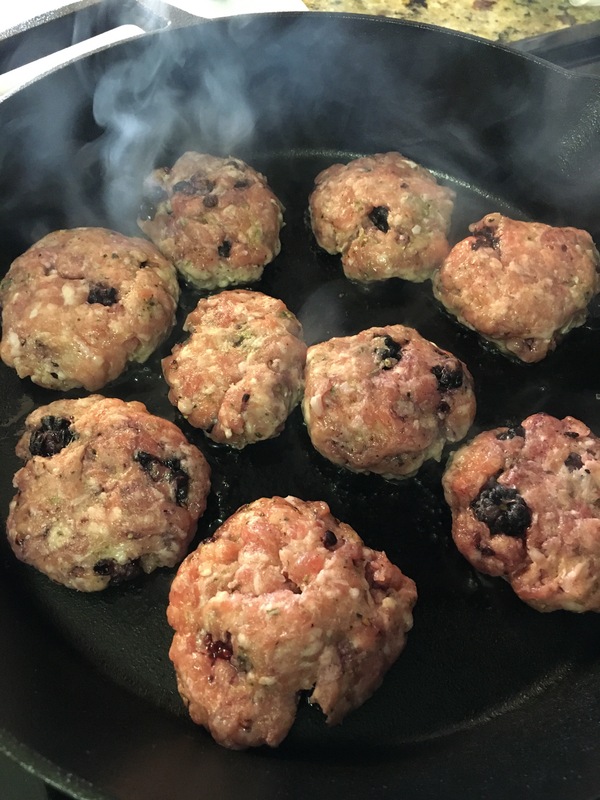 Gently grab a small handful of the mixture and shape them into small sausage patties. I wouldn’t form them where they are very thick. Heat a large skillet on medium heat. Add coconut oil once heated and place the sausage patties into the oil. Allow the patties to cook for about 2-3 minutes on each side, or until they are browned. Remove from pan and serve immediately, or store for quick breakfast protein the rest of the week!